As we age and are exposed to the sun, collagen and elastin within the skin start to break down. Without these fibers, the skin can't hold its shape. Older skin retains less fat, and the pull of gravity also causes the skin to sag. This results in the noticeably less subtle and sagging of the skin. Skin Tightening helps reduce the signs of aging by tightening and firming up these problem areas. How Does Skin Tightening Work? Skin tightening is achieved by using a piece of equipment called 'elos' or Electrical Optical Synergy, which uses Bipolar Radio Frequency and optical energies in a light based therapy. It stimulates collagen production, simultaneously firming loose skin as it diminishes fine wrinkles. This results in skin becoming tighter, smoother and more elastic. What Are the Expected Results? Some people see changes in fine lines and wrinkles immediately after treatment due to transient swelling in the treated area. The swelling will abate after 2-5 days and later be replaced by new collagen to give a more permanent result. The effects of the reform from collagen stimulation can continue for up to six months. 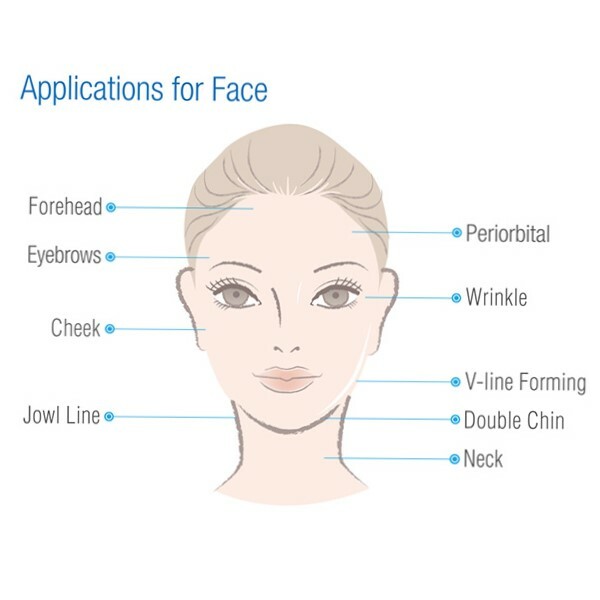 What Areas Are Suitable for Skin Tightening? Personal Image offers a FREE initial consultation, so if you are interested in skin tightening, please contact us!